I wonder how many evangelicals would be prepared to give an answer. *The misspellings and typos in the document are all exactly as they appear in the original. Heb. 5:8 says that Jesus learned obedience! To whom would he obey if he was GOD? And Does God need to LEARN anything? I'm seeing some errors, where in the text the Father is being referred to, but in the JW sheet, they simply say "God." Tricksy Jehovahs Witnesseses, precious. The critical error demonstrated by the question sheet is the assumption of unitarianism, instead of it being exegetically reasoned from the text, as proper exegesis reveals Trinitarianism, as the texts called into question should show. What amuses me is the questions they're asking are very similar to ones I've heard Dr. White ask of Oneness Pentacostals to refute their modalism. Except DrO was on target with his questions, not misplacing "Father" with "God". The 'best' (and most common) one they use is "The head of a wife is her husband, and the head of Christ is God" (1 Cor 11:3b). The explanation of why this 'proves' that Jesus is not God either relies on the assumption that wives aren't human, or has it as an inevitable conclusion. There's a big assumption in those questions that the options are only Arianism or Modalism - each ending up with a God who's a monad, a singularity. Because God is one - but so are a husband and wife (and they ignore that bit of Genesis 2). Also - which Jehovah do they witness to? The one who spoke to Moses face to face (Ex 33:11), or the one even Moses isn't allowed/able to see the face of (Ex 33:20)? The JWs I've met respond "no one can see God" and just say it louder when asked "how come Moses met him face-to-face?" Do you want us to take this one at a time, or all at once? I think we could cheat by listening to a certain pastor's talk on Arianism. then you could probably take a shortcut by saying "If Jesus ISN'T God..." followed by "how does he have the same nature as God (Php 2:6-8; Jn 1:1; Rev 1:8; Micah 5:2, Col 2:9; Heb 1:3..tell you what, I'll just leave all of the references out for brevity's sake), how was he predicted in the Old Testament, how is the covenant name of God applied to Jesus, how are titles reserved for the LORD applied to Jesus, how can Jesus possess the incommunicable attributes of God, how does Jesus do the works of God, how can Jesus receive worship, how can he be called God throughout the New testament, and how can he call himself God?" Sure, it doesn't answer all of their questions, but as Sir Brass said, they're assuming a totally different - ism here. Once you can demonstrate the fundamentals of Trinitarianism I think the rest all falls into place. To be clear, this is *not* a publication Jehovah's Witnesses are "given by [their] church." It's possible an individual Witness wrote this up, but I'm sure you want your facts correct. I would be careful about wasting much precious time with these incessant debaters and deceivers. They started in my home town of Pittsburgh and I've talked with and met plenty of them. I would also say that I've never met a convert to true belief out of them, or known anybody who led one to faith in Christ as God. You won't get very far with your Bible since they possess one that has been altered to fit their doctrines including alteration of John 1:1. They are so brainwashed that in recent discussion with one of them, of whom I asked when, where, and who was your founder, they responded 2,000 years ago, Jerusalem, Jesus Christ. When I told them the answers were the 1870's, Pittsburgh, and Charles Taze Russell they looked at me like I was insane to state these bizarre facts that they had never even heard! My take, give them the basic Gospel, trust God's electing purposes, and move on. And if anybody has had any good fortune in bringing one to faith, I'd love to hear about it. 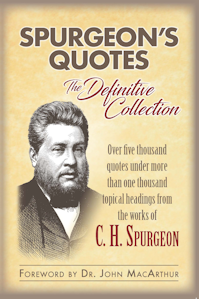 And from Spurgeon: "Deity is not to be explained, but to be adored; and the Sonship of Christ is to be accepted as a truth of revelation, to be apprehended by faith, though it cannot be comprehended by the understanding." JWs are seduced and then kept simple by fear and community pressure. So, as Kerry suggests, reasonable disputation with them is not going to happen. Years ago my wife and I were going door to door with invitations to our church. Coming the opposite way was a JW duo. We met in the middle. The man handed me a Watchtower. I said, "Let's trade" and held out a church flyer. He withdrew his hands as if it was on fire. He would not even touch it. He and his partner scurried to the next house. Sounds like the exact same arguments made by Muslims; i.e., "God has no Son" as is inscribed on the Dome of the Rock mosque in Jerusalem. Those are some deep Scriptures to deal with. The best way I would be able to deal with JW's is to share a verse or two of Jesus' deity. Then, we can discuss all of the truth, which undeniably says Jesus Christ is both God and Man. There are many verses that show Jesus is human. He is still human even now,with a body that has been glorified, and so we shall have glorified bodies like His. Wow! Now there's a Hallelujah! And yet Jesus is without any doubt worshipped by us. We bow our knees and honor Jesus the same as we honor our Father. Number 18 seems is deep, but I beleieve the answer is Wisdom. We do need to be built up to answer the cults. Especially Latter Day Saints, for with Romney our there, we are going to need to know this 'cult'. My mother-in-law asked me about Mitt Romney yesterday. These are valid questions which Ive pondered on myself. Its further proof, as if one needs more, that sola scriptura is a corrupt concept. God was God before the bible and after. Even though i believe the JW are a cult i can honestly say they are kinder and more "christian" acting than the protestant Christians Ive been around in my life. My best friends growing up were JW`s and we argued alot over religion but i would choose them any day as trusted friends over anyone in the reformed church that i attended for ten years. Sola scripturas only success is ushering in bazillions of different disagreeing denominations. You guys and gals need to stop running from the cold hard truth.That is unless through divine revelation the Creator has told some of you that the reformed folk are the right side. Has He??? Because i will gladly come back to your side of the protestant island if He has. I will require proof of said revelation though. I don't have much to contribute to the conversation, but want to leave a comment so I can follow it via my inbox. I'll need a third cup of coffee to follow along on this Monday morning, though. I will say this: I have found a helpful website called 4jehovah.org that has excellent printable things to give to a JW in conjunction with conversing with them. The biggest impression it made on me is how heavily burdened these people are with a religion of works and legalism, motivated ultimately in the upper levels by greed. Sounds a lot like LDS as well, when it comes down to it. My experience is the same as Kerry's. It contrasted starkly to the impression I got from Walter Martin and books, that no Christian ever engaged JWs, and if they just would, JW's would convert by the busload. I engaged many JWs at great length. I got to know JW reasoning so well that I literally would help them find the verses they were looking for. Once, a church official came over (their big gun) to follow up. In ever occasion, they were in a corner, unable to deny what the Bible taught - yet unwilling to repent and believe. I think Kerry hits on an insight my wife had. It's not just a set of opinions to them, it's their life and their social structure. It's not like leaving First Baptist east for First Baptist west. It's like losing all your friends and all your family. So I've come to think our approach should include some Mark 10:29-30. Out of curiosity Dan, did you engage them with a real Bible vs. their torqued one? Because that's impressive in that despite twisting the true Scriptures, they still couldn't hide the truth! Sometimes I think that the best way to handle a JW at the door is to do what Jesus did in Matthew 23, more or less. I don't suggest that for the (rare) JW that is truly searching, but most of them are "evangelistic" false teachers, leading others to hell. Should they receive teaching, which they (nearly) always trample under foot, or should they receive a firm rebuke (2 Tim. 4:2), which might shock them into truly thinking about their heresies? The last ones that came to my door, I did have a brief discussion, which went nowhere, and I finished by explaining that if they would repent and believe, they could be saved. Amen, Dan. Let me interject another thought. I think they have also blasphemed the Holy Spirit and when you reach that point, you have sealed your doom. Matthew 12:31-32. I know some would say that that sin can't be committed today, but when you refer to the Holy Spirit as a "radar beam" as their writings do, if you haven't committed the sin at least in the spirit of it, I'm not sure what you would have to do to commit it. And I don't care if you quote Scripture to them and exercise your apologetic gift all day long, if it is unaccompanied by the inward witness and power of the Spirit upon the Word, it is all for nought. I go back to my original premise: don't spend a lot of precious time specifically studying to answer them, nor spend a lot of time actually dealing with them. I've done both, Scooter. I've done English versions, Greek, and NWT. I have had them read Isa. 43:10 (their "theme song") form NWT itself and shown them how damning it is to their false Christology. I'm not as deeply articulate as the rest of you here, but I think I also realized a while back (without consciously articulating it) that jousting with them is an example of casting pearls before swine. Total agreement on that point. "Wanna thank you all for coming out tonight. WE REALLY DO LOVE YOU! REALLY!" I used to have the nicest elderly lady stop by weekly who wanted to convert me. She was lovely, I'd invite her in and we'd have tea. I didn't engage her at all except to ask some vague questions because she was beyond entrenched in JW heresy. Haven't seen her in years. But she prompted me to dig into the JW "community" for my own curiosity. Percentage-wise, they had the highest suicide rate of any religious group (not sure if that's still true). Their End Times beliefs are so without hope and earthly works so futile ... it's tragic. Suicide was the best option to enter "paradise". While I would agree it is difficult for JW's to become born again Christians, it is not impossible. Here is the testimony of a friend of mine was a former JW Elder and who is very active in reaching out to JW's. My husband was brought to true faith out of the Jehovah's Witnesses after someone gave me an apologetic book dealing with their Scripture twisting. We studied and poured over the Scriptures for months, and I'll never forget the moment my DH looked up from his Bible and said in wonder, "Jesus is GOD!" That questionnaire looks like a really excellent course outline for a Sunday school class on "the biblical view of the Trinity" -- with a few corrections as noted by others. By all means, get people thinking about these things, and digging up genuine biblical answers! They're useful for their own sake, since they contribute to a deeper understanding of things that our Father has revealed to us. The very existence of all those verses implying a subtle understanding of the deity of Christ suggests that we're supposed to know something about it. Then, as a side benefit, they can p3wn the JWs who come to their door, too at least as far as the arguments are concerned. The rest, of course, is up to the Holy Spirit. I like the way one person put it: You could just take this list and pretty much go "Kenosis... ditto... ditto...ditto" for every question on there! Gringa, never said God couldn't do it. As Spurgeon said, after God saved him, he never despaired of God saving anyone else and I would say the same. Glad to hear of a couple of former JWs claiming Christ as God. And Jesus as God with a capital "G" makes all the difference in the world compared to the JWs who call him god with a little "g."
Spurgeon again: "If you have a Christ less than divine you have a religion less than saving." Reading through these questions made me think of modalists as well, Sir Brass. I've engaged quite a few JWs who have come to my door. I've talked to them about Hebrews 1, and John 1. No visible effect, but they don't come to my door anymore. What is amazing to me is that they didn't allow blacks for the longest time, but now almost everybody I see handing out "The Watchtower" is black. My wife had a relative who was a JW and at her (the relative) funeral, the pastor drove up in a fancy car and they basically made sure that they got everything this woman owned. Also, I have a childhood friend who is a pastor and went to The Master's Seminary. One day a gentleman called him up and asked him about the Bible and Jesus. The man was a JW, ut somebody had given him a MacArthur Study Bible and he read through the notes. This obviously stirred up a lot of questions in his mind. One of the problems he was facing was that his whole family was JWs and the second he left JW, he would be disowned by his whole family, even his wife. I say this mainly to demonstrate the point that DJP made about losing all your friends and family. That is how pervasive this cult is...one can only imagine their methods of "discipling". My concern is for evangelicals who encounter arguments like the ones above and (because they have grown up in youth groups and worshiped in churches where entertainment rather than instruction was the rule) are so ignorant of doctrine that they themselves can be derailed by fatuous arguments such as these. Si Hollet: There's a big assumption in those questions that the options are only Arianism or Modalism. Exactly. In fact, Arius developed his heresy in reaction to Sabellianism. He firmly believed that the only viable response to the Sabellians was to teach that Jesus is a created being. Might be fun to get T. D. Jakes to answer those questions, though. But with Jakes as a Modalist, answering tough doctrinal questions is out of his mode in this dispensation. So, where are the answers? Can we at least get the answers to the even numbers? Here's one you won't hear every day. We have an ex-JW married couple in our church that came to know Christ. The legalism pressed so hard on them that the wife saw Joel Osteen on TV and thought what he taught was better than the oppression in JW. Her husband saw how depressed she was and agreed to go to Osteen's church once, which is a 5+ hour drive from here. God be praised that this led them to look for a local church, where they ended up in our Bible teaching church and believed upon the gospel. I had them speak in my apologetics SS class once, and their main point was not to argue doctrine but to show joy. She said that occasionally they would happen upon an amazing Christian women who would radiate joy and love. They would leave that house knowing Christians had something wonderful, something they had never seen in JW churches. While I am in general agreement that engaging JWs at the door is mostly a waste of time, I do think Christians should be polite, loving, and give a brief testimony of what they do believe. There are plenty of ex JW's out there that said kind demeanors and a word about personally knowing Jesus Christ did help. I've engaged JW's and even invited them inside my home. At the time I was a baby in Christ so I really didn't know much about that we should not invite them inside. I was following my brother's example that he did the same. My mother-n-law is JW and I've shared with her quite a few times. But to no avail. I've prayed for her that God would open her eyes. Just a casual thought from an observer, isn't it possible that the reason that most of you haven't had much success with Witnesses you've spoken with is because you're arguments just weren't that convincing? I'm one of Jehovah's Witnesses; I chose to become one because, out of all groups claiming to be christian, I found their beliefs to be most in line with the Bible. If I didn't think that to be the case, I would join whoever I found to be more scriptural. Perhaps some of you automatically view me as insincere, ignorant, or 'swine' because of that view, but I have valid reasons for my beliefs that hold up to scrutiny, if I/we didn't, it'd be hardly advisable for us to go to your door to discuss these things. If you'd like me to demonstrate an example of this, I'd be happy to explain one or two of our beliefs in detail here (if that's allowable), but again, it'd have to be focused on a simple topic that is a 'slam dunk'. Thanks. TJ, let's begin with your knowledge of your own history. Who was your founder, what year did he begin, and in what city were the Jehovah Witnesses founded? And why was the truth that leads to eternal life withheld until then? I remember reading many years ago a booklet written here in the UK by an ex-JW, her one great piece of advice was that if you want to make maximum impact on a JW in the minimum amount of time, tell them about your conversion experience, while they are geared to arguing endlessly about the 144,000 etc, they have no real ready answers to 'Sin Righteousness and Judgment' John 16.8, I tried it once with a man who came to my door and I think he left somewhere between gobsmacked and bemused, It's not always about winning the debate, it's about bearing testimony to the Saving power of the Son of God. For me, the biggest red flag that a group has weird theology generally is how they treat the trinity. it appears that seemingly without exception if you have your trinitarian theology out of whack, everything else will fall out of place. Francis starts off his book by telling a story about a couple of Jehovah’s Witnesses that came to his door. They had there discussion but towards the end Francis voiced his feelings about how he is offended that they believe Jesus/Michael is the only Archangel. Francis asked them to read Daniel 10:13 “…The Michael ONE of the Chief Princes” They were perplexed and admitted they hadn’t read much of the Bible. Francis encouraged them to not be spoon fed their beliefs but search out the scriptures themselves. After closing the door he was convicted that he does the same thing without knowing it. You could be spoon fed by your parents, friends, your church and our pastor to believe a certain way yet you never read the scriptures yourself. I had similar questions of a mormon buddy. why would God withhold the full revelation for such a long time after the ascension of Jesus. What testimony could be better than that of the eye witnesses to Jesus and the first generation of followers? GOD has to remove the blinders of the Watchtower' societies false teachings and unstop the unspiritual wax first. "The Gospel is (((the power of GOD))) unto salvation for all who believe. It's not by our wise and persuasive words but with a demonstration of the Spirit's power, so that your faith might not rest on men's wisdom, but on God's power. "-1 Cor.2:4-5..
Just like Paul God has to remove the scales from your eyes. We can present the TRUTH but just like Adrian Rogers said:Learn the limits of logic...It's not wrong but it will only go so far. When you come to a chasm that logic can't leap, then faith must fly." The answers to my questions which you would not answer are Charles Taze Russell, mid 1870s, and Pittsburgh, PA, for the benefit of anybody here who doesn't feel like chasing all the rabbit trails that you presented. Here's the only other question I have: Why does your translation of the Bible translate John 1:1 as "the Word was a god" when there is no indefinite article in the Greek text and that is a theological bias added to your Bible? How about this from our Lord: "Before Abraham I Am." The Jews wanted to kill Jesus for this, and rightly so, if He wasn't God. You cannot honor any being as you honor God can you? What do you say? Thank you Linda for your insight. I largely agree with the principle of what you're saying, since it is scripturally-based. God is the one that makes it grow. That's all I'm asking for here, an honest discussion and examination of the scriptures. Hi donsands, thanks for your respectful questions. "How about this from our Lord: 'Before Abraham I Am.'" "I was in existence before Abraham was ever born!" The NWT has "I have been" (compare John 14:9 in the ESV, "Have I been" and other translations for similar renderings of this same Greek verb 'eimi' that appears at John 8:58). Such a claim made Jesus out to be something more than human, which his enemies seized upon. Elsewhere, on an earlier occasion, when his enemies claimed he was making himself equal to God (among other false charges), Jesus defends himself, saying, "Truly, truly, I say to you, the Son can do nothing of his own accord, but only what he sees the Father doing." You said, "You cannot honor any being as you honor God can you? What do you say?" The Israelites were according King David the honor, or worship, directed to God because God installed him (and on that very occasion, Solomon his son) as their king. The same respect is expected of Christians towards their divinely-appointed king, Jesus Christ. I suppose it would be too much to ask of JWs who visit here to cut to the chase and state the obvious: that you believe Jesus Christ is a created being, by whom God created everything else (a created creator, now that's a stretch), and that He is a "mighty god" but not Almighty God. And my simple question about John 1:1 was not answered. Bottom line TJ, if you are right, I am annihilated and don't enter the Kingdom. Big deal, I've exited conscious existence. If orthodox Christianity is right, and Hell is eternal fire and not simply the grave as you believe, then you suffer forever for your rejection of and blasphemy against Jesus Christ. I'd say your position is fraught with peril. Have a nice day. And remember, Charles Taze Russell, mid 1870s, and Pittsburgh, PA, my home town, so that you can answer correctly the next time you are asked the question. You said, "The answers to my questions which you would not answer are Charles Taze Russell, mid 1870s, and Pittsburgh, PA."
I have no problem with those as simplified answers; it's just that we don't quite view it that way and the resources I pointed you towards provides context that explains why. What denomination are you by the way? You next asked, "Why does your translation of the Bible translate John 1:1 as 'the Word was a god' when there is no indefinite article in the Greek text"? That's a great question and I appreciate having the opportunity to answer. First, the Greek text has no indefinite article because the Greek language itself had no indefinite article. This does not mean, however, that Greek had no indefinite nouns. Other translations render nouns found in the exact same grammatical construct with the English indefinite article, for example: "a prophet" (John 4:19), "a devil" (John 6:70), "a thief" (John 10:1), etc. This shows that, grammatically-speaking, its recognized as acceptable practice to use the English indefinite article with nouns in this Greek construct. Another important piece of evidence, often overlooked, is that while Koine Greek was still a living, spoken language it was in fact translated into one language that, like English, contained both a definite ("the") and an indefinite ("a") article; this was the Hellenized Egyptian language called Coptic. The Coptic translation is everywhere celebrated by scholars as an early and loyal version of the scriptures. At John 1:1c it actually uses its indefinite article, essentially agreeing with the NWT some 1700 years before it was translated. To be clear then, the ancient Coptic translation, undoubtedly made by actual Koine Greek speakers, literally says, "the word was a god." Now I don't expect you to just accept "a god" as correct from this quick explanation, but perhaps I at least presented some new information. You said, "And remember, Charles Taze Russell, mid 1870s, and Pittsburgh, PA, my home town, so that you can answer correctly the next time you are asked the question." Russell only began his publishing of the Watchtower in 1879 after a brief stint as co-editor of Herald of the Morning, based out of Rochester, NY. He incorporated the tract society later in 1884, based in Allegheny, PA, which only later became a part of Pittsburgh. I'm not going to honor David the same as God. I will honor Jesus the same as God, and worship Jesus as i worship the Father. The Scriptures are very clear. Jesus is sinless, and holy, and perfect and equal to His Father, and so i worship Christ and my Father. The Father loved me, and gave His Son for me, and all my sins are forgiven in Jesus Christ the Son of God, and Son of Man. I pray you come to know the truth of Jesus Christ, Lord of heaven and earth. He is the Word, and He is the Eternal Son of God the Father. "In the beginning was the Word, and the Word was with God, and the Word was God....and the Word became flesh." "I'm not going to honor David the same as God." To be blunt, who asked you to? It's just a fact that the scriptures record that the Israelites did worship God and David; it's not my opinion. Such accounts should have a bearing on how we view scriptures like the one you presented, should they not? I do very much appreciate your sincere and thoughtful prayer for me, and I sincerely pray the same for you. Here's a simple question for you. Imagine the Bible records a faithful man seeing Jesus, recognizing exactly who he is, and then he testifies that he has seen God. Would this be undeniable proof to you that Jesus is God himself? Good post! Share our louis vuitton sunglasses online shop. 2012 louis vuitton handbags hot sale in www.louisvuitonbagsshop.com. Many of these questions begin with a false assumption of the very nature of God, an almost complete ignorance of the very meaning and nature of the Incarnation, and obviously a rejection of the Trinity. "It's just a fact that the scriptures record that the Israelites did worship God and David"
They also worshiper false idols. Jesus is equal with God the father in all we honor about Him, we can honor the Father the same. The Holy Bible declares Christ both the "I Am", and the Son of Man. Jesus is a human, isn't He. And he is the Almighty Lord of the universe, seated at His Father's side, and he sends His Spirit, the Holy Spirit to fill His Church with truth and grace, for His own glory, and the glory of God His Father! I don't undertsand your question TJ. You evidently are convinced in your error of the Scriptures, and so unless our Lord opens your eyes, you will deny the truth over and over, and you shall die in your sin. Repent and trust in Christ's blood, and all your sins will be blotted out, and you will know the truth, and the truth will set you free. It's been an adventure. For now, I have to end it. Adios! You said, "They also worshiper false idols." So you have to recognize here your assumptions. When worship is shown to another appointed representative of God, even on an occasion where God clearly finds favor with the people, you are forced to chalk it up to them falsely worshipping, though the Bible itself says nothing of the sort. I'm personally looking for consistency in my beliefs, which is a mark of objectivity. You next said, "I don't undertsand your question TJ." Imagine the Bible records a faithful man seeing Jesus, recognizing exactly who he is, and then he testifies that he has seen God. Would this be undeniable proof to you that Jesus is God himself? Wow, I just re-read my post. I wish I had more time to expand on the idea of incarnation of the eternal person of the God-Head, Jesus vs the birth and created existence of a new human being. A human having no existence before their birth would never be able to refer to themself as "I AM". Another thing I would expand is the idea that Jesus humbled Himself to become a man as it says in Phil 2:8, "Being found in appearance as a man, He humbled Himself by becoming obedient to the point of death, even death on a cross." He willingly became "as a man", so that He could be the perfect sacrifice for our sin. If that did not happen, then none of us have salvation!! Until you get past all of the "translations" and get a grip on the truth of the original Grrek text, you're going to be lost. Anybody can switch between translations to find what they want (this is why Rick Warren is so popular). If you're going to be serious, then you need to dig in for yourself without all of the JW presuppostions and look for the truth. If, on the other hand, you're trying to reason through the text based upon your own presuppositions (which are based upon bad translations), then you'll stay lost as one of the blind following a blind guide. I pray that God might open your eyes to the truth of His Word and free you from the oppression of those who have twisted Scripture to suit their own thinking. About a year ago an older fellow showed up with his satchel in hand, ready to talk. He was nattily-attired, had a cute little hat, and just smiled from ear to ear. I was in between projects, and thought it would be wise to engage him. After a short while, I decided that not to go down the "usual" path- you know, Jn. 1:1. 8:58, etc... I went to Romans 5:1 and asked him if he could say with confidence (and with Paul) that he now had "peace with God". His response was so telling- he looked up as if I had asked him some kind of quadratic trigonometry question (whatever- I'm a musician- what do I know from math? ), and I repeated- "do you have total peace NOW in your union with Christ?" He fumbled around, and said something about the necessity to continue to do good works and go door-to-door. I pressed it, and he had no answer. That, to me, was about the saddest example of the results of JW heresy that I had ever witnessed. No peace, no justification, no union with Christ. One last response for you TJ. It makes no difference with this question. The truth is clear, Jesus is the Messiah, and He died for the sins and transgressions of all who will trust in His death and resurrection for the forgiveness of our sins: our pride, lusts, fornications, evil thoughts, and all our filthy transgressions. Jesus takes all our sins upon Himself. And He gives us His righteousness. What a Savior! What a God! SPAM comment at 10:54 PM, May 14, 2012. I'm interested in seeing someone answer TJ's assertions about the missing indefinite article in John 1:1. TJ, I implore you to study the Bible, not the Watchtower publications. JW's pride themselves on being Bible experts, but in reality, instead of being fed the solid food of the Scriptures, they are given a steady diet of Scripture twisting, brainwashing Watchtower propaganda. A "bible study" quickly turns into a study of a Watchtower book which spoon-feeds false doctrine with mind-numbing repetition. Spend some serious time in the books of Romans and Galatians. I assure you, what you find there will not line up with what you have been taught. -If John 1:1 in your NWT says "In the beginning was the Word and the Word was with God and the Word was ((a))god, then please peruse John 17:3 "And this is life eternal, that they might know thee ((the only true God))), and Jesus Christ, whom thou hast sent." and according to God there is no other. Deut. 32:39 "See now that I myself am He! There is no god besides me." Isaiah 43:10- " Before me no god was formed, nor will there be one after me. Isaiah-44:8 "Is there any God besides me? No, there is no other Rock; I know not one." Come now let us reason together... God says there's no God but him the word of God says there's only one true God and yet the WTS teaches that Jesus is a god.. Who is telling the truth? God or the WTS? Jesus said" Come to ME all who are weary and burdened and I will give you rest. Take (MY) yoke upon you and learn from (ME) for I am gentle and humble in heart and you will find rest for your soul"..emphasis mine--Jesus did not say to go to anyone or any organization he said to go directly to HIM> He said" You SEARCH the Scriptures daily because you think that by them you possess eternal life, these are the Scriptures that testify of me and yet you refuse to come to ME to have life"
I would ask that you would put down all extra-biblical literature and ask God to reveal to you the truth according to God's word-KJV. Regarding Jehovah's Witnesses' "New World Translation" Bible and its rendering of John 1:1, it may interest you and your readers to know that, in support and explanation of their wording of this verse (especially within the third clause with "a god"), there is soon to be published a 20+ year study (as of 5/2012), a thoroughly researched reference work - an historical analysis & exhaustive annotated bibliography - it will be entitled, "What About John 1:1?" This list of questions provides a great framework for any believer who wants to explore what Scripture really teaches about the deity of Jesus. It also provides an excellent number of examples of "Scripture twisting" that every believer should be alert to. I plan on using several of these in my own blog to help my readers become better equipped at rightly dividing the Word and being prepared to give a defense of the basic Truths of Scripture. Thanks for the post! Thanks for your input and don't worry about responding quickly. I referenced John 8:58 earlier in a response to donsands. Other translations, such as the Living Bible, render John 8:58 quite differently, saying "I was in existence before Abraham was ever born!" This makes sense contextually. The NWT has "I have been" instead of "I AM", which agrees with how the very same Greek verb is rendered by other translations at places like John 14:9. "Truly, truly, I say to you, before Abraham was, Bill"? Furthermore if one checks the Greek version of the Old Testament at Exodus 3:14, the verse Jesus is supposedly quoting, it doesn't say "I AM", it says "I am the being" (ego eimi ho on). Why would Jesus quote only half of the sentence? So it's a very strained connection at best in the original languages, though it's dressed up in certain English translations (adding capitalization and even quotation marks) to make it seem more natural. But I haven't missed your overall point. I too believe that Jesus preexisted in the heavens. Please by all means show me "the truth of the original Grrek text." I'd welcome your opinion of where I've erred specifically (I mean that too). I welcome sincere correction, hopefully given in a loving manner, but I will certainly test it against scripture. I appreciate the thought and time you put into your post. You asked me, "Now please tell me in John 1:1 is Jesus a true or false God?" I can then turn to you and say: Now please tell me in Judges 3:9 is Othniel a true or false saviour? See the problem? In fact, there are many servants of God in the Bible that are actually referred to as 'gods' in a relative sense. If you have Mounce's Dictionary, which I don't have before me now, under the term "God/god" he lists a definition for representatives of God. The term "god" originally meant "mighty one", and so when the true God delegates some of his power and authority to angels or humans, they become "gods" in a secondary sense of the term. For example, in reproving certain corrupt Hebrew judges to whom he had given authority, God says, "I said, 'You are gods, sons of the Most High, all of you.'" (Psalm 82:6; ESV) To Moses the true God says, "See, I have made thee a god to Pharaoh: and Aaron thy brother shall be thy prophet." (Exodus 7:1; KJV) Was Moses a false god then? There are other examples, but this shows that the word "god" is more flexible than what your choice allows. It's not strictly true/false in every context. You said, "It makes no difference with this question." Yet this is the very difference between preaching at someone and discussing these important issues with them. It shows that you too are invested in searching out the truth wherever it takes you. Hi TJ, um you have completely ignored and dodged what Jesus said. Moses even wrote about Jesus throughout the Old Testament-John 5:46-Jesus said,"If you believed Moses, you would believe me, for he wrote about me." Isaiah saw Jesus' glory-Jhn 12:41 Isaiah said this because he saw Jesus' glory and spoke about him. The word of God is clear that Jesus is God and yet the WTS came along in the late 19th century and has changed, altered and inserted words thus making God's word null and void for you to come to know "The only True God and Jesus Christ"- Oh my I just wonder what did all the people do for almost 18 centuries without the WTS? Did God not CARE? In Jn. 10:31-33 "the Jews picked up stones to stone him, 32but Jesus said to them, "I have shown you many great miracles from the Father. For which of these do you stone me?" 33"We are not stoning you for any of these," replied the Jews, "but for blasphemy, because you, a mere man, claim to be God." Make no mistake about it that when Jesus said "I and the Father are One' they KNEW that Jesus claimed to be -God. Not only did the Jews understand what Jesus was saying but Jesus himself said they "KNEW"-(John 18:20-21) what He was saying. Jesus said in Mt. 26:64" Why question me? Ask those who heard me. Surely they know what I said." Jesus never denied that the Pharisees understood that Jesus was claiming to be God. In John 19:7, the Jews said "We have a law, and by that law He ought to die because He made Himself out to be the Son of God." The Jews understood that to claim to be the son of God was to claim to be equal with God. The high Priest tore His clothes when Jesus said "YES, it is AS YOU SAY"
All you have done with your arguments is cajole and use sophistry that were taught to you from the WTS leaving you dead in your sins. Jesus said that "If you do not believe I am the one I claim to be you will surly die in your sins"-John 8:24. You are way out of line there. I simply share the Gospel truth to you, and you don't believe it. Jesus is the lamb of God, who drank the cup of His Father, and who died for a wretch like me, to make me one of His holy ones, but only in His blood and resurrected Body. I worship Jesus every day! he is an awesome Lord and God, as the Holy Writ proclaims without apology. There are only two alternatives to be faced. That Jesus' assertions were pure blasphemy or that He was God. Isn't that interesting that Jesus quoted the very same passage I did (Psalm 82:6) in my response to you? Why do you think he did that? Consider the logic behind it. He quoted a passage where God recognizes even corrupt human judges, those not doing the will of the Father, as "gods" and "sons of the Most High". He emphasizes this point by saying that "Scripture cannot be broken"; in other words, it cannot be wrong about the propriety of these titles having been bestowed upon these men. His argument, therefore, is a from-the-lesser-to-the-greater one. If these "gods", these "sons", were under God's judgment and yet still held those titles, how can it possibly be considered blasphemy for Jesus to call God his Father, implying that he too is a "son" and a "god", when he is actually doing the will of God? Do you see how this is a defense against his enemies' unscriptural conclusions and that it actually relies on others being recognized as "gods" in a relative sense? You said, I simply share the Gospel truth to you, and you don't believe it. Very well, you've shared it. As of yet, I don't find it convincing because my one question to you remains unanswered. One of the marks of a true believer in Christ is their holy, reverent fear of God and His holy Word. Are you forgetting that Christ is God in human flesh, the Word incarnate? You have spent your time here trying to convince people that the Bible doesn't really say what it states plainly. You seem to echo the serpent in the garden with Eve saying, "Has God really said?". Instead of entreating Christians to lead a life of holiness in the fear of God, and to worship the Lord in spirit and truth, you are in fact trying to foment rebellion of the One true King and God, the Lord Jesus Christ. This makes you guilty of high treason, blasphemy, and idolatry (not to mention being a false teacher!). The very thing that you think is your ticket into heaven is in fact just the opposite. You are a sinner and a lawbreaker, and if you don't repent, will have a gold plated ticket guaranteeing your eternity in hell. I say this in love as you need to have your true spiritual condition laid bare before your eyes. Every true Christian was once the same as you, running around trying to find evidence that Jesus Christ was not who He said He was (and as the Scriptures plainly state). We were ALL as you are right now, because salvation is a gift, as "all our righteousness is as filthy rags". I hate to break this to you, but all the door knocking and meeting attending will sadly get you NOWHERE with the Lord. The fact remains that you are a lawbreaker, and no amount of good you try and do will change that fact. God is a holy God, and the wages of sin is death. The Law says that if you have broken one commandment, you have broken them all. Can you honestly say that from the time you were conceived that you have fufilled the Royal Law? You know, to love the Lord your God with all your heart strength, soul, mind and body? For every single second of your whole life? Remember, if you slip up for even a second you are a lawbreaker, and rightly going to hell because you transgressed the law. I can't answer yes to this and you can't either. The ONLY one who ever lived a perfect sinless life was Jesus Christ BECAUSE he is God, and the triune God is holy, holy, holy. There is no darkness in Him. We, on the other hand, are depraved, and in sin our mothers conceived us. Romans 3:10-12 says, "as it is written: None is righteous, no, not one; no one understands; no one seeks for God. All have turned aside, all have become worthless; no one does good, not even one." The ONLY way a sinner like me and a sinner like you are ever getting into heaven as if the Lord grants us faith to believe on His Son and repentance for the forgiveness of sins. Believers only get into heaven by grace, and as we are nothing more than guilty lawbreakers, and we can only plead for mercy, not for any merit of our own, or that we are innocent of the charges against us (for we are guilty of breaking every one of God's perfect law), but because of the perfect, holy character of the God we are pleading before. Because God is love, because He is a merciful God, and because He grants in His mercy to reveal to His elect the true condition of their hearts, and also grants repentance and imputation of the perfect, sinless life of Jesus into the believer's account, so that Jesus' sinless life is all that remains in the sight of God, as He has removed the sins of the believer. Imagine a God who is so loving that He sent His only Son to die in the place of a bunch of rebellious criminals who hated Him? The grace and mercy of God is truly unfathomable! TJ, by what you doing here, the state of your unregenerate, depraved heart is sadly obvious to all here but yourself. May the Lord grant you repentance and forgiveness of sins in the name of His One and only begotten Son, the Lord Jesus Christ. You are like the Pharisees. They didn't believe Christ was who he was, and you don't believe either. There was nothing else Jesus could tell them really. Just a thought, according to the NWT: "John says in John 1:3, "All things came into being by Him, and apart from Him nothing came into being that has come into being," or in the NWT,"...and apart from him not even one thing came into existence" " Let me me restate, Not Even One Thing came into existence without Christ creating it. So, if Jesus created everything that has come into being, and Jesus also came into being (as some contend), then Jesus created Himself. He would have to exist as Creator before He existed as a created thing, which is absurd. He'd have to be, and not be, at the same time and in the same relationship. Sounds like a violation of the law of noncontradiction to me. You now say, You are like the Pharisees. Ah, so now the condemnation because I've pointed out that you refuse to answer my one question. This is exactly why very few, if any, people will respond to your preaching at them. You said: TJ, by what you doing here, the state of your unregenerate, depraved heart is sadly obvious to all here but yourself. Allison, do you not realize how you appear to others outside of your beliefs when you make judgments like that? I understand that you feel strongly about your beliefs, but please understand that I feel just as strongly about mine as well. If you feel that my honestly disagreeing with the positions made here enables you to judge my heart as "depraved", that's between you and God. A simple point-of-view question for you, why do you think Jesus is described as "the last Adam"? (1 Corinthians 15:45) Thanks! "condemnation because I've pointed out that you refuse to answer my one question." I said you agree with the Pharisees, and you don't believe Jesus is God. And they would not listen to the truth, just as you won't. Thanks for your contribution, donsands. You response about substituting a name like ______ whatever, misses the point. God referred to Himself as an eternal being by stating in the present tense, "I AM". It is the concept not the capitalization. Also why would the Jews try to kill Him because he called Himself "Bob". They tried to kill Him because He was claiming to be God (the only God). Also, the verse you haven't answered yet is Col 2:9, "For in Him all the fullness of Deity dwells in bodily form"
Listen, the Trinity is simply a way to talk about the concept of God in 3 persons. The Bible refers to the Holy Spirit, and to the Father and to the Son, it says there is a relationship between them, that they are distinct, and yet calls them all the only God. We call it the Trinity, not because the word is found in Scripture, but because the idea is there and we need to call it something. I believe the Bible is perfect in its original languages, and I know it is true because of the witness of the Holy Spirit. If it says there are 3 persons who are are the one God, then I know it is true. Hope this helps. Yours in Christ, God in the flesh. TJ, I'm not judging your heart - that's what the Word of God says about your heart! Mine was the same way before I met Christ. Frankly, I know that it may sound harsh, but I don't live to please people but God. The most loving thing I can do is show where you are at when compared with God's Word. How loving would it be if I knew you were believing lies, but just let you go along with it without saying anything? That's just not loving, it's plain dishonest. Sometimes love hurts, but that hurt is what causes us to look at things realistically, and then, by the Grace of God, helps us to repent and grow. If I didn't care about where you are going to spend eternity, I wouldn't have said a thing. Which would you prefer? That I be a bit harsh, and you'd hurt for a bit, but maybe your eyes would be opened? Or if I said nothing because I didn't care where you ended up. Sometimes things need to be harsh so the gravity of the situation can be brought to bear. I spoke up because I care, and it was not my intent to offend you, I just wanted you to see how serious the situation was. You said, You response about substituting a name like ______ whatever, misses the point. Also why would the Jews try to kill Him because he called Himself "Bob". They wouldn't. The context shows the reason for their anger. The Jews snide at his commenting about Abraham, saying, 'you're not even fifty years old, and yet you've seen Abraham?' Jesus basically answers yes. He says that he's "been" in existence since before Abraham was born. Nothing more is said than that, and yet the implication, obviously, is that he is something more than human. Elsewhere, as I've pointed out above, when his enemies tried to kill him because they concluded he was making himself God (in addition to other false charges), Jesus defends himself from these charges. See my post just above to Linda, for example. Obviously, he couldn't explain himself further in John 8, since they were throwing stones at him. You said, Which would you prefer? "In your hearts honor Christ the Lord as holy, always being prepared to make a defense to anyone who asks you for a reason for the hope that is in you; yet do it with gentleness and respect." Strange though it may be, I'd actually prefer to reasoned with and make my own conscientious decision rather than just take your word for it that you know. In harmony with this, I asked you your opinion of Jesus being described as "the last Adam." At 4:22 a.m., May 16 you say to Allison: "Strange though it may be, I'd actually prefer to reasoned with and make my own conscientious decision." At 6:46 p.m., 15 May, my comment uses Scripture and plain reason yet I see no response. Take heart though, not one JW that has visited my home has ever had an answer, reasoned or other, to the violation of noncontradiction. I pray He opens your heart. I'm currently working through Colossians 1:15-20 for a sermon, and I thought I would ask you a question on verse 15. Do you/JW's believe that to see Jesus is to see God? In particular I'm asking about your understanding of the Greek term εικων/eikon -- often translated as image. To keep from drawing this out longer than necessary, I'll present a shortened version of my interpretation. That Greek term was used of statues, images, or even the reflection found in a mirror. Of course we must remember that all analogies fall apart at some point, so it would be foolish to say Jesus is that statue of God. Paul's point in Colossians is that the Colossians are becoming syncretistic. They believe they need something outside of Christ himself. They are starting to worship angels, celebrate the new moon, and follow OT feast laws. They think their spirituality is missing something without these things. They are striving to find more. Paul is laying out the Theology of Christ in vv.15-20 so that he can later argue "If you have Christ, then you have everything you need!" So, in regards to the image, Paul is making the point that to see Christ is to see the invisible God. "You want more of God? You want to see God? (they were starting to search out visions for heightened spiritual experience) Then look to Christ!" How would you agree or disagree with this interpretation? In John 8:58 he is quoting from Ex 3:14, but only indirectly. See Isaiah 41:4 (click for Greek) for a direct quote where God refers to himself as I am (egw eimi). While it misses the relative pronoun of Exodus, it shows us that quoting the first half God's self-identification was still acceptable, or, maybe a better term would be identifiable. And this makes the most sense of why they picked up stones to stone him. Not because he was older than his flesh (there was no Jewish law against that), but because they understood him to be calling himself God, which is what he was doing. You bring up a good point that the formerly blind man used (egw eimi) to self-identify. See Catrin Williams' helpful paper "'I Am' or 'I am He': Self-Declaratory Pronouncements in the Fourth Gospel and Rabbinic Tradition." I believe she makes a good argument that the grammar of the phrase requires it to have a "standard" use. (Who is this? I am) and a Theologically pronounced use like we see in John 8:58. Google books and amazon will let you screen most of the article for free. I disagree that what you need is to be reasoned with, as all the arguing over Scripture in the world is not going to save your soul. As I said before, the problem is that you are a sinner and a lawbreaker, That you have a hardened heart and are dead in your sins and trespasses, and frankly, no amount of arguing over Scripture is ever going to change that. Your eyes have been blinded because of your unbelief and sin, and because of that, you will not understand when we reason with you, unless the Lord in His mercy grants you repentance and opens your eyes and heart to the truth. You don't need to simply change your mind, you need to be raised from the spiritually dead state that you are currently in, and only God alone can do that. All that I (and the other believers interacting with you here), can do is simply share the truth of what Scripture says, and leave the rest of it up to God to change your heart and open your eyes. I notice how you didn't quibble or deny anything that I said, but instead commented on my tone. I thought I was being gracious enough and sometimes the truth hurts, but it seems you are looking for excuses to not believe that Jesus Christ is God, and are trying instead to find ANY reason to not submit to a Holy God. You do this at your eternal peril. Repent and believe the Biblical gospel. I'm always reminded of John Newton's argument: No one denies that David said the LORD Jehovah, I AM was his Shepherd. And that Jesus styled Himself as the Shepherd - 'the' Good Shepherd, even - of His sheep. Neither would people deny in theory that Jesus came to abridge the benefits of David's era..on the contrary. Therefore, simply, Jesus must be I AM, He must be God in human flesh. You said, At 6:46 p.m., 15 May, my comment uses Scripture and plain reason yet I see no response. I'm sorry, I didn't realize you were addressing that to me specifically. I thought it was more a general comment on the post above. You said in that earlier post, Let me me restate, Not Even One Thing came into existence without Christ creating it. So, if Jesus created everything that has come into being, and Jesus also came into being (as some contend), then Jesus created Himself. I would look at the context leading into John 1:3, in John 1:1, "the Word" is already said to be in existence. It is from this time forward that "apart from him" nothing comes into existence. "None is righteous, no, not one." Would you say that this applies to Jesus? Why or why not? You cannot come to the same conclusion from Col 1:16, especially when you take into account that the 'rulers and authorities' = angels (jewish technical phrase for the "levels" of angelic beings). Michael the Archangel was created by Jesus, for Jesus. Hi Zack and thanks for your comments. I'll start where you say: P.S. The Living Bible is a paraphrase and not a translation and shouldn't be used as evidence for anything. It is indeed a paraphrase, but I'd contend it's actually more consistent here than most translations. Once you start getting into the business of deciding what is 'standard' use and what is 'divine' use of ego eimi, you're solidly in the field of interpretation and theology, not translation. Many translations go to lengths to make Jesus' use of the common Greek words 'ego eimi' appear very different from others' use of the same words and hardly clue their readers into this decision made in their behalf. Nevertheless, there's many more examples, such as Edgar Goodspeed's American Translation, which has: "I existed before Abraham was born!" Jesus uses the be-verb in connection with the phrase, 'before Abraham was born,' simply to show that he existed at that time. As I've pointed out at length earlier, Jesus has no chance to make a defense here, because these people that you assume to be following Jewish Law are busy trying to kill the Messiah, but on at least two other occasions he is accused of this and he defends himself against it. With regards to Colossians 1, you said: How would you agree or disagree with this interpretation? Let me first ask you the question I've been asking for awhile now that is along these same lines. Imagine the Bible records a faithful man seeing Jesus, recognizing exactly who he is, and then he testifies that he has seen God. Would this be undeniable proof to you that Jesus is God himself? Why or why not? Thanks! I don't see why I can't come to the same conclusion. Can you please clarify? Thanks. You're free to comment on my motives, my relationship with God, how I'm going to hell, etc, all you'd like. But would you also please comment on my answer to you showing how Jesus, in defense to the accusation that he was making himself God, compared himself to earlier men who had been given divine authority by God and that were likewise called "gods" and "sons of the Most High"? I'm honestly interested in your opinion of this evidence. Thanks. Thanks for your reply. The problem with that presentation of John (i.e., why would I want to listen to those vile people who want to kill Jesus...?) statement is that it assumes John is straight history with no authorial intent. John is writing for a very specific purpose, he is trying to show his readers who Jesus is. You didn't comment on Isa 41:4, but I'm sure you knew it was there. John uses the prophets extensively throughout his Gospel, I know he knew it was there. Of course we have to deal with interpretation. All communication requires interpretation. When I say "Get that bucket of wood" you would be unsure which bucket if confronted with a bucket full of wood and a bucket made of wood. To always translate ego eimi as self identification ("It is I" or "I am he") would be as silly as always translating the English "Bank" with the French "Banque." You don't "Banque" a basketball or play on the "Banque" of a river. As to your question, all interpretation requires context, both textual and theological. If I read Paul saying "no one" is without sin, but then I also read Paul saying that Jesus was "he who knew no sin..." then I would have to think that the theological and textual context of the Romans passage must mean something different than the 1 Corinthians passage. You know that and I know that. Given that, I'm not going to answer your theoretical question. I'll discuss the bible. I appreciate your strong emotional appeals to me, but there has to be more than just that. There are people in all religions, and even atheists, that beg me to come to their 'truth' with just as much emotion as you. It's the same as in Paul's day, when he observed, "For I bear them witness that they have a zeal for God, but not according to knowledge." (Romans 10:2) I don't believe that blind faith is good; one should understand why he believes what he does. Because the Greek says "all things" and then categorizes them as all = invisible, visible, heaven, earth, angels, governments, etc. To say that there was something created before "all" would negate all. "The problem with that presentation of John (i.e., why would I want to listen to those vile people who want to kill Jesus...?) statement is that it assumes John is straight history with no authorial intent. "This was why the Jews were seeking all the more to kill him, because not only was he breaking the Sabbath, but he was even calling God his own Father, making himself equal with God." Now I'm sure you'd agree with the latter accusation, but what of the former? Was Jesus actually "breaking the Sabbath" and therefore sinning? Is this an example of John "trying to show his readers who Jesus is" or is John merely recording the accusations they were making about Jesus? As to your question, all interpretation requires context, both textual and theological. I agree completely. It's just that, as you know, certain translations are much more theological than textual, yet they they don't always acknowledge this. "I AM", I feel, is such a case. Given that, I'm not going to answer your theoretical question. I'll discuss the bible. That's fine. Here's a very straight Bible-based question: who was it that spoke to Jesus and begged for his servant to be healed when he entered Capernaum? (Matthew 5:8-13) There's a point here. I'd argue that "all things" in Colossians 'plainly excepted' the 'firstborn of creation', contextually. So there are many examples of a noun being definite without having the definite article. That doesn't prove that John 1:1 must be definite, but it disproves your claim that the absence of the article must mean "a god." "That's fine. Here's a very straight Bible-based question: who was it that spoke to Jesus and begged for his servant to be healed when he entered Capernaum? (Matthew 5:8-13) There's a point here." I meant to cite Matthew 8:5-13.
your major premise has to be that "All nouns without the definite article are indefinite," but that simply doesn't hold up. That's not my argument at all. I understand why you may think that, since that is how certain published authors (that really should know better) have described it, but neither I, nor the NWT have argued such a thing. It's a strawman argument. In reply to the question of why the NWT uses an indefinite article at John 1:1c, I pointed out how it is actually common practice among all translations to do this in instances where a noun is not only without the article, but in the specific grammatical construct we find at John 1:1c. Corresponding examples of nouns without the article and in the same grammatical construct include: "a prophet" (John 4:19), "a devil" (John 6:70), "a thief" (John 10:1). Good evening. Ahhh, the ol’ “exception of Jesus” rebuttal. Seen it. You’re rebuttal is one of two JWs use and is easily refuted. Courtesy of the good folks at STR, here’s how your rebuttal shakes out and a reasonable person would say your rebuttal is so weak it merely serves to bolster my argument. According to TJ, I didn't read the verse carefully and missed something in the text. The phrase 'apart from Him' means the apostle excludes Jesus from the count in this verse. If you said, 'Apart from TJ, the whole family is going to Disneyland' you wouldn't mean that TJ wasn't part of the family, just that he wasn't included in the count. Every member of the family is going to Disneyland with the exception of TJ. In the same way, every created thing was created by Jesus with the exception of Jesus Himself. Jehovah created Jesus first, then Jesus created everything else. That’s your rebuttal. Note that this rebuttal relies on the ability to replace "apart from Him" with the phrase "excluding Jesus." Allegedly they're synonymous. OK, let's try the replacement. The verse then looks like this: "With the exception of Jesus, nothing came into being that has come into being." Huh? The reconstructed phrase is nearly nonsense. Strictly speaking, it means that Jesus is the only created thing that exists. Obviously, the phrase "apart from Jesus" can't mean "with the exception of Jesus." These phrases are not synonymous. "Apart from Him" means something entirely different. It means "apart from His agency." It's the same as saying, "Apart from me you'll never get to NY, I've got the car." Apart from Jesus' agency nothing came into being that has come into being. Why? Because Jesus is the Creator. He is God. That makes perfect sense in the context. Thanks for your response, Bill. I wasn't replacing anything; I took the context into account. It starts from a time where both God and the Word are said to exist. Moreover, it's likely alluding to the Genesis account and the creation of the physical universe. Therefore the "everything" being created is from that time forward. The thing is, I could take the same type of argument you just made and apply it to Romans 3:10, be just as strict, and come to the conclusion that Jesus cannot be righteous. Obviously, this can't be as definitive as you are arguing. Good evening again. Staying on topic, you say you don’t replace anything. Okay, by replace one could easily insert define or interpret, I have a strange feeling you knew exactly what I meant (though I am not charasmatic :) ). Again, NWT John 1:3: “All things came into existence through him, and apart from him not even one thing came into existence.” So please tell me, what does “apart from Him” in John 1:3 mean? So please tell me, what does “apart from Him” in John 1:3 mean? Based on the context, it means, from the time that the Word was in existence every single thing created was created through him. I find support for this in many other passages. Now would you please explain to me how you "define or interpret" Romans 3:10? You're not going to use the "ol’ 'exception of Jesus' rebuttal", are you? In the context of the whole sentence that flows from Romans 3:9-12, it carries on to say "no one seeks after God". Given Jesus was God, how would TJ include Jesus in the set of people who were not righteous? Thus by Paul's own definitions, using the same immovable reasoning that Bill insists upon for John 1:3, Paul must be saying that the man Jesus Christ is not righteous. I disagree with this type of reasoning. TJ, I don't base my comments on subjectivity as "My" judging your motives" I'm judging the WTS false Doctrine using the word of God. When I said you have "another Jesus" and you will die and spend eternity in hell ---- According to the copious amount of Scriptures that I've given you along with many others -Jesus is GOD and he clearly and unambiguously claimed to be God and was crucified for it. According to Jesus "HE" said and I'm merely passing it down to you so you know it's not me judging your "motives" that "If you do not believe that I am the one I claim to be you will die in your sins"-John 14:6. Served to you straight from God's WORD. I'm passing down you you that Jesus spoke of hell -Mar 9:47-49 "And if your eye causes you to sin, pluck it out. It is better for you to enter the kingdom of God with one eye than to have two eyes and be thrown into hell. Everyone will be salted with fire. where "'their worm does not die, and the fire is not quenched. as far as it goes for answering your so called rebuttal about "gods" -First of all is not "my opinion" and what I believe it says so please quit trying to make the bible subjective to the TRUTH. God's word is Objective TRUTH and I'm simply passing down to you what God's word actually says in it's CONTEXT. TJ said-'But would you also please comment on my answer to you showing how Jesus, in defense to the accusation that he was making himself God, compared himself to earlier men who had been given divine authority by God and that were likewise called "gods" and "sons of the Most High"?" I'll Answer your comment even though you didn't answer mine about Isaiah seeing Jesus' glory in Isaiah chapter 6 which clearly shows that Jesus is God and also that Moses wrote about Jesus. So can you also show me all the places in the books Moses wrote about Jesus. Okay, according to God's word in it's (context) Psalm 82 reveals that ALL men, regardless of whether or not they are called "gods"-will DIE as "mere men” and so God again establishes the TRUTH that (only HE Is GOD). In "context" Jesus ridicules human judges who have the audacity to “THINK” of themselves “AS gods.” God’s message is this..” So you think you are gods, do you? Well the grave will prove you as “mere men”. Jesus is clearly stating---- there is but ONE GOD in Mark 12:29. In Psalms 82:34. If we are to take Jesus LITERALLY here,, then in Matthew 23:33 are we to also take Jesus literally when He called the Pharisees “Snakes”??? Jesus was crucified because he claimed to be God. and He proved he is God by rising bodily from the grave 3 days later and not dying like a mere man. It' inescapable and yet you keep pulling verses out of their entire context and skipping around like a jack rabbit and inserting them in where they don't belong. TJ please don’t give the typical skewed false arguments that the WTS has inculcated on you to strip Jesus of His Deity. 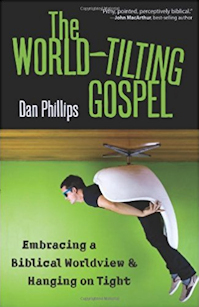 The word of God doesn’t support the false doctrines of the WTS’s one-sided view of Jesus. The word of God clearly shows that Jesus claimed to be God and that Jesus IS God. You have a myopic view of Jesus ONLY of his humanity and have not reasoned solely on what God's word actually says. anyways, I DO thank you TJ for your politeness and kindness. Hello Linda and thank you for your response. It seems natural and apparent to me that Jesus is saying that if it wasn't blasphemous for those men with God-given authority to be referred to as 'gods' and 'sons of God', then it isn't blasphemy for Jesus to take upon himself the same titles since he was given similar authority by God. Good evening one last time, I have other pearls to cast. You were asked what “apart from Him” means and instead of a direct answer you spoke of time, existence, created things, etc. You could not muster the courage to say “with the exception of” that matches your doctrine. Tortuously splitting Scripture to insert time breaks that are not gleaned from a plain reading of Scripture is, forgive me, pathetic. At that point you should’ve agree with my earlier suggestion of “apart from His agency,” but you did not. Three simple words, “apart from Him” becomes “from the time that the Word was in existence every single thing created was created through him.” Really? Apart from Him isn’t “aside from” or “without” or “independent from” those would’ve been acceptable. Believe me when I lovingly say I recognize what you’re doing for I too was trapped by heretical doctrine, I empathize and see many of the same gnats and camels in my own past. While I could list Scripture after Scripture that points to Jesus as God from eternity past, I cannot make dry bones alive, only the Holy Spirit can and praise God for that! We cannot argue anyone into the kingdom. My fear for you is that your condemnation is now greater for having been exposed to the Truth. The time has come to repent and believe the gospel. I don't believe "apart from him" means "with the exception of"; you keep trying to put those words in my mouth, but that's not how I view it. "Apart from him" means "apart from him". Not one thing made from the beginning of physical creation was made apart from the Word, not even one thing. What I do notice is that several times now you have ignored the parallel I've put to you at Romans 3:10. Your argument is flawed because you can't apply it consistently across scripture with the same rigidness you insist upon at John 1:3. Applying your very same logic to that verse makes Jesus out to be a sinful man, revealing the error in your argument. But again, if you all you can do is refuse to address this valid point and resort to more statements about how I'm condemned, that's your choice. Just don't expect anyone to whom you preach such things to be particularly impressed by it. There's what is called doing exegesis where we are to consider the word of God as a WHOLE in light of difficult or uncertain passages. All I can say is what I said at first and that is no amount of logic will convince you of the TRUTH that Jesus is GOD. God's Word clearly preaches that the ONLY Gospel that saves is the Gospel of GRACE-unmerrited, unearned, undeserved favor granted and extoled by GOD Almighty through the ONLY righteousness that comes by FAITH IN Jesus Christ. The whole time you have never shown faith in the Lord Jesus Christ of Scripture but ONLY logic in the WTS and their false Jesus who is incapable to save you because he doesn't exist. We are already drowning and under the water with our sins and our ONLY HOPE is that God reaches down to us and saves us. No amount of "swimming lessons" but the WTS or anyone can save you---Only Jesus can jump in the water when you finally yell help to HIM and acknowledge who he actually IS. When you do he will swim out to you and save you.. Absolutely...but this was a passage (John 10:31-33) that you brought up intended to be one that was certain; one that proved the belief you're telling me to accept. Does this mean that, after a consideration of Jesus' response (John 10:34-36), you've reclassified it as a "difficult or uncertain" passage? Then we've made progress. One can always revert back to the vague argument that the whole Bible teaches his or her belief, but when you're forced to get into specifics and really take a close look at what each passage offered as proof actually does and does not say, the task becomes much more difficult. Sometimes it reveals that we've actually been reading our beliefs into scripture. Thank you Phil for this post. It has been most instructive in the post and the meta that followed. It's almost like deja vu reading John 10 and then seeing it play out here. So you have seen your error. Now you can worship Jesus Christ with all His saints and angels, as the Scriptures teach us to. Have you also seen the truth of the Gospel, that Jesus is the propitiation of our sins? He is truly the lamb of God, who took all my sins, and gave me His righteousness. What a Savior! What a God! What a Friend! It seems most have stopped responding, which is unfortunate. "So you have seen your error. Now you can worship Jesus Christ with all His saints and angels, as the Scriptures teach us to." As I pointed out above, worship is a relative thing. Even King David received worship along with God, being God's appointed king. (1 Chronicles 29:20) Similarly, Jesus himself states that Christians anointed to become kings in the heavens will have false Jews "come and worship before thy feet." (Revelation 3:9, KJV) In this scriptural, relative sense, I have no problem with worshipping Jesus as God's appointed king. "What a Savior! What a God! What a Friend!" So does this mean that if Jesus is called God by someone in scripture, for example Thomas, this proves he's God in your view? Thanks! You have to take the whole of Scripture, not just a portion to understand that God is a Triune God, and Jesus the Messiah is the Son of God and Son of Man. The bottom line of faith is to believe that Christ died for my sins. All my sin is blotted out, and I have been made righteous in Jesus' passion. He is the Lord of all the universe, and yet He still has the nail prints in His hands as the God-Man. What a Savior and God indeed! I pray you come to this faith of the truth. But as I said, you are as the Pharisees, and you deny that Christ is God. I pray to You Lord Jesus to have mercy on TJ. Amen. Amen,Don..I thought that little thing I shared above was very simple and good..Yet,it is the abundance of grace and the gift of righteousness which is the power of God to salvation/knowing God in Christ. Phil: Your succinctness is powerful though undoubtedly, and probably, willfully lost on those who don’t wish to hear. 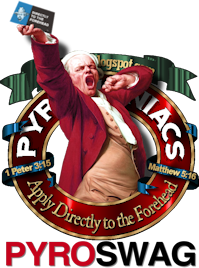 Don: Your consistently clear presentation of, and passion for, the Gospel are appreciated by most of us who read Pyro. You are both to be commended for your able defense of the Word. I find that the good thing about beating your head against the wall is that it feels so good when you stop. When one believes that “in the beginning god created jesus and in another subsequent beginning (after the first beginning but listed as ‘the’ beginning in scripture) jesus created everything else,” (lower cases intentional) and said belief is held because it is clear from the text, I can’t see how your (Don/Phil) actual clarity and brevity will do anything but confuse things. I am confused that one can tenaciously hold to the belief that Jesus is a created being and also tenaciously believe there is no orthodox Christian hell. I must ask, why did you knock at my door if there is no hell? Never mind, it is a works based system. You again just restated what you've already said...but you didn't answer my question or in any way interact with the scriptures I presented you. Instead, again, you basically called me a Pharisee. This is why the the type of argument employed here doesn't move many to believe what you believe. You just preach at them and refuse to reason with them. Are you ever going to take on Romans 3:10 as a counterexample to the argument you presented me or are you basically conceding that it is a valid counterexample by refusing to acknowledge it in any way? Some have a hard heart. The Jews, who listened to Jesus in His presence, the Son on Man & Son of God,-- and saw Him heal a man born blind from birth--, didn't believe. What else could have Jesus done? Did Jesus do something wrong? The bigger mystery is why my hard heart as a child of wrath was broken and made tender, so that i believed and asked Jesus to save me, and have mercy upon me. Ask the Lord to have mercy on you TJ. Believe that Christ is the propitiation, and the holy One who died for the sins of sinners like us. Jesus is the Lamb of God, who takes away the sins of sinners, and gives all who come to Him peace and forgiveness. Jesus explained things to people who had sincere questions. Likewise, Paul reasoned with the Jews from the scriptures. Contrast this with the followers of the pagan god Artemis who refused to allow any reasoning from the Christians and instead mindlessly chanted over them for two hours, "Great is Artemis of the Ephesians!" (Acts 19:33-34) Would you be convinced by such tactics? I wouldn't...and I'm not here. "Believe that Christ is the propitiation, and the holy One who died for the sins of sinners like us." But I already absolutely believe that, which shows you don't even understand my beliefs. In fact, my view of Jesus, which is the scriptural view, demands that he be "the last Adam" in order for him to be the propitiatory sacrifice. (1 Corinthians 15:45) This would satisfy God's eye-for-an-eye principle of justice. But again, you seem too threatened to discuss such things from a scriptural basis, which is unfortunate. TJ, I don't want to be involved in any back and forth,and I haven't followed the minutia of the comments in the meta, but I left you a short and simple logical argument up above, that was reasoning...It simply makes statements which, I think, you would concede as propositions you would agree with..which combine to the stated conclusion as the only logical one (which you currently don't accept). ".. I already absolutely believe that"
Then you will come to know Christ as God, and when He returns, (which I long for BTW), you will see Him as the Almighty Son of God with His Father. Oh, how I long to see His nail prints, which is my truest and grandest treasure in heaven! Come soon Lord. And yet, help me to live a life os worship and serving until You return. Amen. "I don't want to be involved in any back and forth..."
"No one denies that David said the LORD Jehovah, I AM was his Shepherd. And that Jesus styled Himself as the Shepherd - 'the' Good Shepherd, even - of His sheep...Neither would people deny in theory that Jesus came to abridge the benefits of David's era..on the contrary....Therefore, simply, Jesus must be I AM, He must be God in human flesh." So basically you're playing the matching titles game. If God is called title X and Jesus is called title X, Jesus must be God. The problem with such an argument is that there are distinct counterexamples of other ones taking on titles attributed to God alone. I've already listed at least one example of this above. So yes, Jehovah God is the Great Shepherd of his people...and he appointed his Son to shepherd them. But an identity this does not make. The conclusions you make over and over don't follow and you seem the least bit interested in proving them from scripture. You might as well replace your sentence in your last post with, "Then you will come to know Christ as Artemis." Such a statement would carry the same weight based on your proof you've given. I at least appreciate that you respond in some manner. I responded to that at 3:31 PM, May 16, 2012. I believe you are trying to argue a part to prove the whole. That is, "if you can use that argument here, then why not somewhere else?" 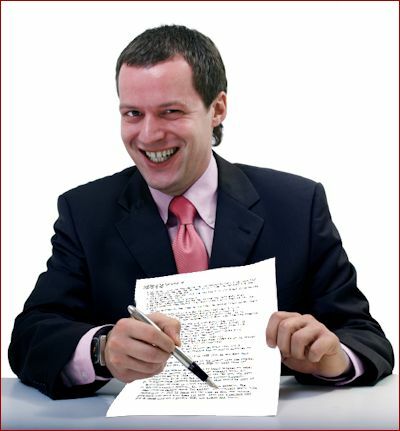 You will know the validity of a prooftext when it is quoted and explained in context. They are not little magic lines that independently prove points, they are propositions that build arguments within a context. Thanks Zack, I held off on getting into that tangent with you since it was primarily directed towards another one here. In effect then, I'm doing the very same thing you are doing with Romans 3:10, interpreting one part of scripture in light of another, clearer part of scripture. I agree that Scripture has to interpret Scripture, but I in no way mean to say that I must use scripture to interpret scripture for Romans 3 to mean that Christ sinned. It's painfully clear from the evidence that Paul is building an argument that all peoples, all who have had the law or those who did not have the law all stand equally condemned before God. Essentially, no one reading Romans 1-8 would come away from that thinking for one second that Paul believed the 'all who sinned' would include Christ. This is just a slight of hand trick to get someone to agree to something here and then have it slap them later. This isn't even Scripture interpreting Scripture, this is just plain ol' reading comprehension. TJ - an identity it does indeed make, logically-speaking, unless "Jesus *did* abridge the benefits available in David's dispensation", or "is not good." Either, way, you should be able to see your logic is screwy to reject the necessary conclusion. This is just a slight of hand trick to get someone to agree to something here and then have it slap them later. Not at all; I even said I don't agree with that interpretation of Romans 3:10. The point was to show the absurdity of insisting "no one" means absolutely no one regardless of context or otherwise. This was the 'gotcha' logic presented to me and your reasoning on Romans 3:10 is my answer to it. I appreciate your reasoning on it. "an identity it does indeed make, logically-speaking"
Or should I understand Othniel as the agent through whom God saves and likewise Jesus as the agent through whom God shepherds? To go from being shepherded by Jehovah to a mere agent of Jehovah by a work on the cross that was Jehovah's masterpiece is absurd. It means man was better off without the cross,and that Jehovah is not good.Hardly 'I came that they might have life and have it more abundantly'(Jn10v10).Which is why we can't honour the Father without honoring the Son as God, and we can't honour the Son without receiving the blood of His sacrifice as the God-man for our 'righteousness of God' 'apart from works'. "To go from being shepherded by Jehovah to a mere agent of Jehovah by a work on the cross that was Jehovah's masterpiece is absurd." The truth is clear; quite clear. The Holy Writ proves Christ is the Son of God and is equal to God the Father. Also the Spirit of God is a Person, and so we have a Bible that teaches God is Three in One. It would seem that you don't really understand the difference between a statement and an argument. A favorite tactic of heretics is to jump around the text, ask out of context questions, and say “see, there it is, I’m right your wrong.” Phil J. started the post with a list as long as a cubit, that is what heretics do. Scripture interpreting Scripture would never enter the equation. Now if one questioned the sinlessness of Christ by using something like Romans 3, where even the babes in Christ understand Paul’s point of Romans 1 thru 3 is to condemn every man (not God-man, as at least 2 other posters already pointed out, thank you Zack and others), I’d be wondering about his/her logic. Surely, we (mankind) are all condemned. The reasonable person would conclude that Christ is without sin. You may not believe it yourself but you’d reasonably admit the Bible teaches it. The operative word is reasonable. Back to John 1:1-3, the Russellites (and others) believe “in the beginning god created jesus, then in the next beginning jesus created everything else.” To let Scripture interpret Scripture, Gen 1:1 sounds a lot like John 1:1-1:3. It is obvious that “from this point forward” is not plainly evident in either creation text. To refute or support a creation text the best place would be another creation text. If Jesus was created, and Jesus created everything, then Jesus would have to have created himself. For the Arian view to be true, God should have said “In the beginning God created Jesus.” Blasphemy! Other meaningful parallels, are Exodus 3:14 and John 8:58. You’ll see who the “I AM” is and why the Jews wanted to stone Jesus. Look at Col 2:9 and Titus 2:13, both proclaim the fullness of the Deity of Christ. Finally, every reference above will be twisted and corrupted. No one can argue anyone into the kingdom, yes, another repeat, broken record, sorry. A recent poster hit it on the head, we are not impressive, at least I know I am not impressive, thanks for the best compliment I’ve received in a long time. As our brother David said, salvation belongs to our God. but I know the truth of who God is, and I love Him, and my name is written in the Lamb's Book of Life! All glory and praise to Jesus Christ, and to my Abba Father in heaven, through the power of His Holy Spirit, who lives in me, and shall never leave me nor forsake me. Amen. I am in "Him who is true--even in His Son Jesus Messiah. He is the true God and eternal life", and I am in Him, because His Spirit, the Spirit of God abides in me, and the one in me is greater than the one who is in the world. "A favorite tactic of heretics..."
Name calling is a tactic within itself. Of course, Jesus too was called a heretic and he told his followers to expect no better treatment. (John 15:20) So I wear your spiteful terms as a badge of honor. "Now if one questioned the sinlessness of Christ by using something like Romans 3..."
To be clear, I'm not arguing that, as I said from the very beginning. Yet that's the conclusion one must naturally arrive at if they applied your logic just as strictly and consistently as you try to employ it at John 1. There, you want 'not one thing' to mean absolutely not one thing and you reject all attempts at putting any kind of context to it, even resorting to accusations of 'twisting' scripture for this. Yet at Romans 3, which uses language just as strong and definite, suddenly you argue 'no one' doesn't necessarily really mean no one(! ), after all, there's all kinds of context we have to consider! This exposes your bias and inconsistency. "As for the sinlessness of Christ, I say go and learn what this means: Phil 2:6 'who, although He existed in the form of God, did not regard equality with God a thing to be grasped'"
The Greek word rendered there as "grasped" literally means to be violently seized or stolen, i.e. the taking of something that does not belong to oneself. This is how other forms of the same word are translated elsewhere in the Bible (see, for example, Matthew 11:12; 13:19; John 6:15; Acts 23:10; etc). Thus if you follow Paul's reasoning in Philippians 2, he is arguing (in verse 3) for Christians to not be selfishly ambitious for more, but to be the exact opposite, humble. As a model for this he holds up the example of Jesus before he came to the earth. He wasn't selfishly ambitious in trying to seize equality with God, something that did not belong to him, but instead he humbled himself and came to the earth in the form of man. Thus, the very line of reasoning employed here by Paul, to use Christ as a model of shunning ambition and seeking humility, argues against Jesus' being equal to God even before he came to the earth! "For the Arian view to be true, God should have said “In the beginning God created Jesus.” Blasphemy!" That's just about exactly what is said at Revelation 3:14, which I pointed out to Zack just above, and which informs my view of John 1, just as you cited other scriptures to inform your view of Romans 3. Get the point? TJ, this'll be my last comment.. Your last to me merely dismisses the argument with the assertion you hold true,that 'Jesus must not be God. You're driven by your denial for your logic, and you're cutting yourself out of an inheritance in God. To reject the Son as God,and to do it in the name of truth and righteousness is very brazen. As for your name calling charge, did I address my last post to you? No. Did I put anyone else’s name in my non-existent salutation? No. The term heretic was used properly. According to Merriam Webster a heretic is a dissenter from established religious dogma. If you are offended, I can only say oh well. As for your attempt to refute the violation of noncontradiction, you missed the boat entirely. I informed you of the process called Scripture interpreting Scripture and looking to other creation texts to confirm creation texts. Romans 3 was addressed by others directly; and besides Phil 2, I mentioned 7 other texts, all of which contradict your hermeneutic and directly address the sinlessness of Christ. Again, please go learn what these mean: Heb 4:15, Heb 7:26, Heb 9:14, 1 Pet 2:22, 1 John 3:5, 2 Cor 5:21, and John 8:46. Finally, you say “That's just about exactly what is said at Revelation 3:14.” Ummm, no, it’s not. The English translation of the Greek “arche” does not mean Christ is the first created person, rather that Christ is the source of the creation. Besides beginning, arche means origin. Put the word origin in the text and you read “the Origin of the creation of God.” He is the first cause of creation and the head of the church. Check any of the following commentaries: MacArthur, Henry, Clarke, JFB, Wesley, and Gill and you’ll see these different men from different times agree, the meaning of that small portion of Rev 3:14 is that Christ is the origin or author of creation. I highly commend the MacArthur and Gill renditions. TJ, without intending to offend you I am constrained by 2 Tim 2:23 and Titus 3:9 and will stop responding. You bear the image of God yet also appear to suppress the Truth in unrighteousness. May the Lord take the dry bones, and lo, they appear to be very dry, and give them life. "He wasn't selfishly ambitious in trying to seize equality with God, something that did not belong to him, but instead he humbled himself and came to the earth in the form of man. To use Christ as a model of shunning ambition and seeking humility, argues against Jesus' being equal to God even before he came to the earth!" How much MORE humble, indeed DIVINELY humble for Him, the I AM; the divine Potter who molds us earthen vessels, creates the heavens and the earth YET surrenders on the Cross to BEAR the sin of the world . . . what no creature can REDEEM. No creature qualifies for that. Only Creator Jehova, Emanuel, God among us, DOES what no mere creature can do. "The sun was now setting and a dense darkness came and, look! a smoking furnace and a fiery torch that passed in between these pieces." "When the sun had gone down and it was dark, behold, a smoking fire pot and a flaming torch passed between these pieces." "only God passed between the pieces, not Abram, this covenant being as others God makes with men, only on one side; God, in covenanting with men, promises and gives something unto them, but men give nothing to him, but receive from him, as was the case between God and Abram"
WE SINFUL CREATURES for whom He, the LAMB OF GOD takes away sin; and "reconciles" the balance sheet of cosmic justice. NO CREATURE can do that. How can you WORSHIP a CREATURE? I'm "driven by [my] denial for [my] logic"? I'm sorry but every argument that's been touted out here to prove Jesus is God himself does not hold up when compared to scripture. One must always start with the belief that the Bible teaches it, and then read and interpret similar passages pertaining to Jesus and other representatives of God in light of that predisposed belief. You seem to want me to believe that Jesus is God because Jesus is described as a shepherd and Jehovah God is described as a shepherd. But you disregard all the passages that say Jehovah God sent Jesus to carry out his will. Furthermore, you disregard all the passages where Jehovah God uses other of his servants to carry out his will and those servants, those representatives, also take on titles attributed to God. Now if you're being honest with yourself, you know as well as I do if it was "Jesus" there instead of "the angel of the Lord", this verse would be thrown at me over and over again and I'd be condemned for not believing that it literally teaches that Jesus is God himself. But instead it's ignored, because no one here already believes that "the angel of the Lord" is really God, so you interpret it to agree with what you already believe. There are all kinds of passages like this throughout the Bible! Ignoring these inconsistencies and threatening others for pointing them out doesn't please God. He appreciates those that search and dig for the truth wherever it is found, the same truth that he promised would never be the easy way and would never be popular. In Satan's world, the truth will never be orthodox. "According to Merriam Webster a heretic is a dissenter from established religious dogma." And yet...Jesus Christ and the apostle Paul certainly dissented from "established religious dogma". Or is the dictionary defense only applicable when you say it is? "The English translation of the Greek “arche” does not mean Christ is the first created person, rather that Christ is the source of the creation." This is the response I expected. You pointed me to several commentaries, but I prefer to stick with the Bible itself. Let scripture interpret scripture. When we do that, we find that that Greek word, "arche" never means "origin" or "source" anywhere else it's used in scripture. Yes, you are actually asking me to adopt a special definition for this word in this one instance, seemingly only because it applies to Jesus Christ. Is this not bias? The BDAG lexicon (3rd edition), the standard Greek lexicon for the Greek New Testament, admits of this word's usage at Revelation 3:14, "the [meaning] beginning=first created is linguistically prob[able]." This was actually upgraded from the lexicon's second edition which would only admit that that meaning was "linguistically poss[ible]." Perhaps there actually is good reason to believe that it means "Christ is the first created person." You see, it's not that I don't want to believe your evidence, it's just that it's extremely weak evidence. "Wisdom's creation by God was on a different plane to all his other works. 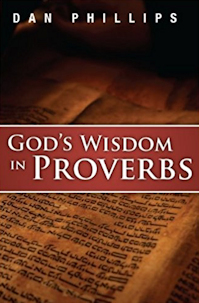 Wisdom almost seems to be a distinct personality, sharing in God's activity, and his agent in the world. The concept given here will be used in the NT to express Christ's relationship to his Father." That's Catholics, not "heretics", saying this, and I couldn't agree with it more. I guess it's a good thing they have their Sacred Tradition to fall back upon, and not just what scripture teaches. "How can you WORSHIP a CREATURE?" So though the Bible shows that God found favor in the Israelites worshipping both himself and his appointed human king, you would argue with them, screaming, "How can you WORSHIP a CREATURE?" The scriptural concept you continue to miss (or purposefully ignore) is that the manner in which you treat one's appointed representative reflects how you treat that one himself. This concept is literally all throughout the Bible. So when the Israelites complained against Moses and Aaron, the leaders God appointed over them, God said that they were complaining against him. (Numbers 14:2, 26-27) Yet again, no one here believes that Moses and Aaron are really God himself, so this is passed over. But put the Holy Spirit in the same situation (Acts 5:3-4) and suddenly it's one of the foremost proof texts in favor of the Trinity! This is inconsistent and weak exegesis; this is reading one's beliefs into the Bible. I apologize, I just noticed that second post was not authored by Bill. So in my above post, from the quote "How can you WORSHIP a CREATURE?" on, that's addressed to 'creature'. Thanks! "the angel of the Lord" as it appears in Judges 13 would not be ignored because many here already believe that "the angel of the Lord" IS really God. A theophany; or Christophany. "And the Angel of Jehovah said to him, Why do you ask this about My name? Yea, it is Wonderful." "For unto us a Child is born, unto us a Son is given; and the government will be upon His shoulder. And His name will be called Wonderful, Counselor, Mighty God, Everlasting Father, Prince of Peace. " Why did such things take place? Well they took place in order to prepare the nation for the fact of the incarnation of the second person of the Trinity. And so we have the Lord Jesus Christ appearing to Abraham. We have the Lord Jesus Christ appearing to Jacob when he wrestled with that divine being at Jabbok. We have the Lord appearing to Moses. We have the Lord appearing to Daniel. We have the Lord appearing to Gideon. We have the Lord appearing to Samuel’s parents. We have many theophanies in the Old Testament which were anticipations of the coming of the Lord Jesus Christ in Bethlehem. Thanks for your response, creature. So just to be clear, you are arguing that Jesus Christ is "the angel of the Lord"? What denomination are you? As you are probably aware, most here would vehemently disagree with you. Thanks! So just to be clear, you are arguing that Jesus Christ is "the angel of the Lord"? Just to be clear, TJ, I am arguing that OT citations of "the angel of the Lord" are appearances of GOD (theophanies) that in the cases I cited with Judges 13 and Dr. S.Lewis Johnson's remarks, reveal God as the coming Christ; the Eternal Son, the DIVINE 2nd person of the trinity. I am Westminster Confessions reformed and I am not probably aware that most here would vehemently disagree with what I'm saying. If they DO, it's only because I've expressed myself poorly. Thanks again creature for your response. This is not the first time I've heard your argument, but I'm guessing many here haven't heard someone subscribing to the Westminster Confession arguing that Jesus is "the angel of the Lord" (and God). Even within the comments here Jehovah's Witnesses are criticized for tying Jesus with an angelic identity. Using the same reasoning you use to identify "the angel of the Lord" with God, wouldn't one have to identify Satan with God here? If not, how is it different? TJ - I'm surprised (in a manner of speaking) for someone who prides himself on his logic and thinks God is pleased with him for his apologetic for his "revelation" that "Jesus is not God", that you can;t see that that argument as originally stated is more than "matching tiles". Your logic is poor, and you cover it up with a lot of rubbish...and you reveal a self-righteous heart in the process. Don't you know that the only righteousness with which you become accepted/acceptable to God is the imputed righteousness of Christ, which you reject, because you reject Christ as the God-man. Quit blowing air, dressing yourself up as righteous, and enter into God's rest in repentance..where there is much more than faffing around playing silly games with words and trying to look holy dead in sin..but life and life more abundantly. To live is Christ, to die is gain for those in the God-man. Please demonstrate why my "logic is poor" and why I'm "blowing air". I'm using same defense Jesus used, the "It is written" method, to demonstrate the flaws in your reasoning and it seems all you can do in return is get upset and condemn me. You claim the scriptures are on your side...so use them. Do you agree with creature then that Jesus is "the angel of the Lord"? Or how do you understand Judges 13:21-22? TJ, your words condemn you, not me..On the logic front (which is not the basic spiritual issue) it's not just title equivalence..the only way Jesus can assume the title and role that Jehovah did, logically-speaking, is if He is not just doing His father's will as a mere "agent", but is doing it as God Himself. (Unless Jesus is mad or bad, or the cross takes God's people from being shepherded by God Himself to one less than God Himself, that being God's purpose to lessen the benefits available to the people of God by the cross and will of God [making out Jehovah to be mad or bad])..On "the angel of the LORD", I agree with Creature's last comment - pre-incarnate appearances of Christ, the Divine Second Person of the Trinity...With that, I think I will take my leave of this meta...I'd just pray you come to a realization of God's love for you in God the Son in His salvation. I would add..any designation that was given to mere human agents never elicited worship of a creature by Jehovah's design, ever. It drove away from that in general. They (the good ones) pointed to God as per redemption history and their function. Jesus pointed to His Father by pointing to Himself. (And as a person unique in His own right, as well..not a mode of God). And the Father actively desired/desires His Son's worship, and gives it through His Son graciously bestowing sinners-turned His bride with all spiritual blessings in Him. I am arguing that OT citations of "the angel of the Lord" are appearances of GOD (theophanies) that in the cases I cited with Judges 13 and Dr. S.Lewis Johnson's remarks, reveal God as the coming Christ; the Eternal Son, the DIVINE 2nd person of the trinity. arguing that Jesus Christ is "the angel of the Lord'"
Do you agree with creature then that Jesus is "the angel of the Lord"? 3. By the “Angel of the Lord” This is the most usual form of theophany, called the “Angel of the Lord” or “Angel of God.” Observe it is not an “Angel of God,” which could include any of the angelic hosts created by God. The “Angel of the Lord” is identified in the accounts with Yahweh Himself. He appears only occasionally in human form. The encounter of the Angel of the Lord with Hagar is of significance in this connection (Genesis 16:7-13). See Angels. Jesus is "the angel of the Lord'"
I am arguing that the Judges 13 "Angel of the Lord" (or "Angel of God") is Holman's case 3 of THEOPHANY and not an “Angel of God” which could include any of the angelic hosts created by God. Gabriel is an AGENT whereas "Angel of the Lord" in Judges 13 is a preincarnate appearance of Christ. "Jesus can assume the title and role that Jehovah did, logically-speaking, is if He is not just doing His father's will as a mere 'agent', but is doing it as God Himself." That has been proven false already and you have been provided counterexamples of others assuming the title and roles of Jehovah, which you have ignored completely. Your logic is flawed because it would make, among others, the Israelite judge Othniel 'God Himself'. (Isaiah 43:11; Judges 3:9, ASV) Ignoring valid counterexamples does not make them go away. "Unless...the cross takes God's people from being shepherded by God Himself to one less than God Himself." Again you're failing to understand the concept of agency. If Jehovah God sent his Son to pay the redeeming sacrifice and to lead his people back to a good relationship with himself, that means that God is the source of everything Jesus has done/will do. God continues to shepherd his people through the leadership of his Son, whom he appointed. This is common sense stuff that's used even in modern everyday language. For example, if the news reports something like, "The President invaded country X today...", would you be here demanding that that means the President himself went charging behind enemy lines? Or would you be a little more reasonable, and understand that that probably means he sent others under his authority with those orders? Furthermore, God's justice demands 'an eye for an eye'. So why would 'God Himself' have to die for man? Do you really think we're of equal worth as God? Think about this. When God created Adam, he made him sinless--perfect--with the prospect of living forever if he chose to remain obedient. Adam lost that prospect for both himself and us. So how could we get it back, with God's principle of justice in mind? Paul answers, "For as by the one man's disobedience the many were made sinners, so by the one man's obedience the many will be made righteous." (Romans 5:19) He also says that Adam "was a type of the one who was to come." (Romans 5:14) Elsewhere he calls Jesus "the last Adam." (1 Corinthians 15:45) Therefore, since Adam lost perfect human life for us, only Adam's equal, another perfect man, could give it back to us by sacrificing it in our behalf. "On 'the angel of the LORD', I agree [it was] pre-incarnate appearances of Christ." Hopefully in the future then you'll speak up when others deride Jesus ever being described as an angel, as some have done above. "I would add..any designation that was given to mere human agents never elicited worship of a creature by Jehovah's design, ever." You have to recognize how your bias is affecting your reading of scripture and blinding you to these counterexamples, otherwise you will keep making such mistakes. Again, thank you for the discussion and the opportunity to reply. Thanks for your carefully crafted reply. I fully understand that you believe that there are only select places where God is called an angel. But what of my question? You decided that "the angel of the Lord" in Judges 13 must be God himself because he is called God by Manoah. So how is it that you can turn around and (presumably) not reach the same conclusion about Satan? I think there's an answer that clearly and easily explains both of these examples, Satan and the angel of the Lord. Thanks! TJ, you cut and chop statements that belong together and follow a flow of thought and then restate your rejection of each bit. All to argue you are shepherded by a jesus who has less of the attributes than David's Jehovah,as a mere agent. Look, David was a king. David ate of the shewbread in the temple it was not lawful for man to eat. However the prophets such as Nathan spoke to him on God's behalf,whatever their subordinate role and title, David was shepherded by Jehovah Himself. David knew that, Ps23..The same of all of God's people. (Noting "they were not all Israel who were of Israel"). Now, when the OT believers looked forward to a day when a Messiah would come and bring the blessing of Abraham in a gospel dispensation that they did not yet even get clearly..how can that possibly mean that David would have ended up with a Shepherd less than Jehovah? *rolls eyes. He already had Jehovah. What He didn't have was new covenant sonship a la Gal 4 and Heb 10 with a new covenant spirit of adoption, Rom 8. Even though in some ways David was a forecast of it, as per the shewbread issue. He could not cry "Abba, Father! in the way He would, he did not have the gospel intimacy with God and new covenant inheritance entered in upon that meant He was shepherded by a Christ he was in union with as His very life, Who was equally God and equally with His attributes in His own Person. With a new covenant spirit. God Himself did not die - God cannot die..but God had to take on human flesh - the second Person of the Trinity - for one because only in this case could a man be born not imputed Adam's guilt, not inheriting his sin condition, not sinning during his life, qualifying His death to be efficacious for atonement from guilt, and deliverance from the curse and law unto life. Adam was innocent before the fall, not "knowing" good or evil. In Christ,the second and last representative, those who receive the abundance of grace the gift of righteousness that the resurrection receipted to those who are His are in union with Him. They have more than Adam lost...and the fullness of it ahead. I will leave replying to the other things you keep bringing up, because you won't be able to understand while you still have a veil over your eyes because your jesus can't help you and the Spirit (the other Person Who is fully God and points to the real Christ) does nothing but point away from the claim. I've noticed you even wrench the responder's comments out of context and import your meanings to them..so I'm seeing that this is fruitless waste of time that may on some level gratify you but not to any good end. "...The Socinians and others, in their unhappy laboured attempts to darken the principal glory and foundation-comfort of the Gospel, employ their critical sophistry against those texts which expressly and doctrinally declare the Redeemer's character; and affect to triumph, if in any manuscript or ancient version they can find a variation from the received copies which seems to favour their cause. But we may venture to wave the authority of every disputed or disputable text, and maintain the truth against their cavils, from the current language and tenor of the whole Scripture. David's words in Psa. 23, are alone a decisive proof that Jesus is Jehovah, if they will but allow two things, which I think they cannot deny : 1. That our Saviour assumes to Himself the character of the Shepherd of his people ; and, 2. That He did not come into the world to abridge those advantages which the servants of God enjoyed before His incarnation. Upon these premises, which cannot be gainsayed without setting aside the whole New Testament, the conclusion is undeniable; for if Jehovah was David's Shepherd, unless Jesus be Jehovah, we who live under the Gospel have an unspeakable disadvantage in being intrusted to the care of one who, according to the Socinians, is a mere man; and upon the Arian scheme, is at the most a creature, and infinitely short of possessing those perfections which David contemplated in his Shepherd. He had a Shepherd whose wisdom and power were infinite, and might therefore warrantably conclude he should not want, and need not fear. And we also may conclude the same, if our Shepherd be the Lord or Jehovah, but not otherwise. Besides, the very nature of the Shepherd's office respecting the state of such frail creatures as we are, requires those attributes for the due discharge of it which are incommunicably divine. He must intimately know every individual of the flock. His eye must be upon them every one, and His ear open to their prayers, and His arm stretched out for their relief, in all places, and in all ages. Every thought of every heart must be open to His view, and His wisdom must penetrate, and His arm control and overrule all the hidden and complicated machinations of the powers of darkness.. He must have the administration of universal Providence over all the nations, families, and persons upon earth, or He could not effectually manage for those who put their trust in Him, in that immense variety of cases and circumstances in which they are found. Reason, as well as Scripture, may convince us, that He who gathereth the outcasts of Israel, who healeth the broken in heart, who upholdeth all that fall, raiseth up all that are bowed down, and upon whom the eyes of all wait for their support, can be no other than He who telleth the number of the stars, and calleth them all by their names, who is great in power, and whose understanding is infinite. To this purpose likewise the prophet Isaiah describes this mighty Shepherd, chap. 40: 9-17, both as to His person and office. But is not this indeed the great mystery of godliness? How just is the apostle's observation, that no man can say Jesus Christ is Lord, but by the Holy Ghost! How astonishing the thought, that the Maker of Heaven and earth, the Holy One of Israel, before whose presence the earth shook, the Heavens dropped, when He displayed a faint emblem of His majesty upon Sinai, should afterwards appear in the form of a servant, and hang upon a cross, the sport and scorn of wicked men! I cannot wonder that to the wise men of the world this appears absurd, unreasonable, and impossible; yet to right reason, to reason enlightened and sanctified, however amazing the proposition be, yet it appears true and necessary, upon a supposition, that a holy God is pleased to pardon sinners in a way suited to display the awful glories of His justice. The same arguments which prove the blood of bulls and goats insufficient to take away sin, will conclude against the utmost doings or sufferings of men or angels. The Redeemer of sinners must be mighty; ..He must have a personal dignity to stamp such a value upon His undertakings, as that thereby God may appear just, as well as merciful, in justifying the ungodly for His sake; and He must be all-sufficient to bless and almighty to protect those who come unto Him for safety and life. Such a one is our Shepherd..."
So why would 'God Himself' have to die for man? TJ, you've hit the nails square on the cross! That is the CRUX of the cross. He WOULDN'T have to. He DIDN'T have to. Do you really think we're of equal worth as God? I DO NOT think we're of equal worth as God. God did NOT have to die for man. It's because we DON'T merit what He did NOT have to do . . . that we fall before Him in worship! NO CREATURE could do what GOD Himself did on the cross. The wages of sin is death and stealing a paper clip from the office is all it takes to earn those wages. It was His carnality that "brought it down" to the corporeal realm in which we exist; where we think and perceive. But it is solely Christ's DEITY that is the "legal tender" for His ransom payment for divine justice. And it is solely the DIVINE agape LOVE of GOD; that amazing grace that NO CREATURE could give . . . that He gave at Calvary. Such Love! Such Light! Such Mercy! My cup runneth over! My Rock! My Redeemer! In that lengthy response, wherein you even typed out 'eye roll', you still refused to respond to my counterexample. Why is that? It almost makes me think you have no answer to it. Judge me all that you feel you need to, but this still reveals the inconsistency and weakness in the argument you're trying to make. "NO CREATURE could do what GOD Himself did on the cross." Then why is Jesus, in the very context of his role of one that 'imparts life', described as "the last Adam"? (1 Corinthians 15:45) All the exclamation marks in the world still doesn't explain to me why a God-man needed to die for us. What was required for justice was the equal of what was lost, like-for-like. Adam was given and then lost perfect human life. Jesus gave it back to us. It was only the sacrifice of a perfect man, 'the last Adam', that could cover the sin of a perfect man, 'the first Adam'. Do you not see the justice in that? And again, could you please give at least some kind of response as to your explanation of 2 Samuel 24:1 and 1 Chronicles 21:1? Even if you have no answer for it, I'd respect your honesty. Thanks. "Thanks for getting back to me." Because life giver describes Christ's divinity (God) and the last Adam describes Christ's incarnation (man) e.g. God-man. What was required for justice was the equal of what was lost, like-for-like. What is required for justice is deserved judgment in Hell. What is given in mercy is undeserved divine propitiation on the cross. Adam was given and then lost perfect human life. Jesus gave it back to us. It was only the sacrifice of a perfect man, 'the last Adam', that could cover the sin of a perfect man, 'the first Adam'. Do you not see the justice in that? The only justice for sin is God's judgment which is Hell for ALL sinners. The wages of sin is death and none is righteous; no not one. The only mercy that CAN be granted in place of our deserved damnation is the divine payment on the cross: Divine payment for divine mercy. When OT scripture cites "The Angel of the Lord" it is usually a theopany. But when the Lord uses an angel like the fallen angel Satan in your examples or Gabriel or a host of angels ... in those cases, they are angels the Lord uses, yes, but not referred to as "The Angel of the Lord" and by context, have coherently different meaning. Therefore I reject your effort to make a case for me being contradictory or inconsistent. You use here the same reasoning you use in previous posts with the I AM, and, with all due respect TJ, I think it's specious reasoning. While I believe your doctrinal assertions are sincere, I find your efforts to root out inconsistency wanting. You're wearing me out, TJ. I won't continue to engage you. All the exclamation marks in the world still doesn't explain to me why a God-man needed to die for us. The exclamation marked remarks are an expression of spirit; to strike a resonant chord . . . not to supplant logic. And I stand by my logical assertions. I fully concede I've made no argument that you find convincing, persuasive, or compelling. [i pray to Jehovah] asking that TJ may be filled with the knowledge of His will in all spiritual wisdom and understanding, so as to walk in a manner worthy of the Lord, fully pleasing to Him, bearing fruit in every good work and increasing in the knowledge of God. TJ, your counter-argument re agency is wrong, because you are disallowing the proposition which you can't deny - even with your text I think - that the NT clearly has the benefits of Christ's mediatorial agency at the hand of God superlative compared with those at the hand of God before it came into effect. That was part-and-parcel with the argument. The cross makes things better, doing "a new thing". The nature of the "shepherding" reflects that. Othniel, Ehud, whomever, were not even comparable to Jesus Christ in the function of their "agency" or role. No one was and is a saviour in the same sense.Nor did any man supplant Jehovah in performing their role. God was and is not saving people through anyone else in the same way and sense that He was and is in Christ. I'm sure you've heard plenty from other believers before about how Jesus Christ doing the will of His Father, voluntarily taking on full humanity, "humbling himself" regarding the exercise of all His divine prerogatives in His Deity, does not in the slightest mean He is less than fully God Himself. It just means He is not the same Person as the Father, and they relate to each other in the Godhead in such a way as rightly reflects that. And that was born out in Christ's incarnation, life, death, resurrection, in a way that derives from it. Creature's comment said it succinctly about the cross, so no need to mention that. You do indeed have a whole system that hangs on the assertion "Jesus is not God" - everything here seems to be a passive-aggressive apologetic for that. I find you - consciously or not - would have people politely chasing you chasing your tail, so it's fruitless when the ground of every grace from God for and in me and other believers is that Jesus is my Lord and my God and I am well-pleasing in the Father's sight by the blood of the God-man's cross, with a righteousness not my own, now my own. "Because life giver describes Christ's divinity (God) and the last Adam describes Christ's incarnation (man) e.g. God-man." But then which Jesus died? Wasn't it the man? Therefore, how in the world do you maintain your statement, "NO CREATURE could do what GOD Himself did on the cross." Even you don't believe that 'God' died on the cross! "What is required for justice is deserved judgment in Hell...The wages of sin is death." Well, which is it? You're really saying two different things here (and only one was a quote from scripture)--death or life in hell. I agree with William Tyndale who once wrote, "In putting them in heaven, hell, and purgatory, [you] destroy the arguments wherewith Christ and Paul prove the resurrection." Throughout the Bible, life and death are held up as the reward for obedient and disobedient mankind, respectively. Not life in heaven and life in hell. Indeed you do undermine the entire point of a resurrection when you say that dead doesn't mean dead, it just means life somewhere else. So why a resurrection? "When OT scripture cites "The Angel of the Lord" it is usually a theopany." This is exactly your problem though, you interpret whether any given scripture is or is not a 'theophany' based on your prior beliefs. In other words, one must already accept what you believe in order to accept your conclusions. Your case for the angel in Judges 13 actually being God himself is no stronger than the proof for Satan being God himself. This is the inconsistency, and it runs through all of these arguments that have been touted out for the purpose of proving that Jesus is God. One must simply ignore all the similar passages said of others. Why? The only semblance of an answer I seem to get is because you 'just know' it doesn't mean the same thing. I'm sorry, but I require a better answer than that. "You use here the same reasoning you use in previous posts with the I AM, and, with all due respect TJ, I think it's specious reasoning." I really don't believe I have at all. "You're wearing me out, TJ. I won't continue to engage you." I'm sorry to hear that, my purpose isn't to wear you out, but to challenge the assertions you make with scripture where I don't believe scripture supports them. Thank you for your kind closing words and be assured I pray them same for both you and myself. A Word for Would-Be "Vision Casters"
You know what? All right already.